In a report published in Germany’s “Hannoversche Allgemeine Zeitung,“ it is said that Fraport, Germany’s largest airport operator, is aiming to sell off its 30% holding in Hanover Airport. The report goes on to say that apparently British financial inves-tor, Icon Infrastructure, is the favourite candidate to take over Fraport’s share. The sale price is estimated at around 100 million euros. The remaining 70% will stay with the city of Hanover and the state of Lower Saxony / Niedersachsen (35% - 35%). Fraport stated that the sale is in line with their regular review of airport holdings within their portfolio. Hanover is the only major airport in northern Germany which offers a 24/7/365 operation. Figures published at the end of last week by Amsterdam Schiphol Airport show that the continuing slot restriction for all cargo flights is taking its toll on cargo volumes moved within the first six months of 2018. Overall freighter volumes went down by 2.7% instead of showing an upward trend. 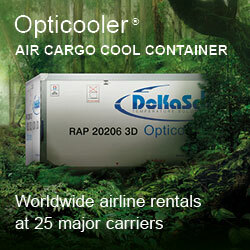 This is attributed to an almost 10% decrease in full freighter flights since the restrictions were introduced. On the other side - there was a 2.3% increase in belly cargo carried during the same period. Maaike van der Windt, Director Aviation Marketing, Cargo and Customer Experience (ACC), seems happy enough with the rather slow growth. 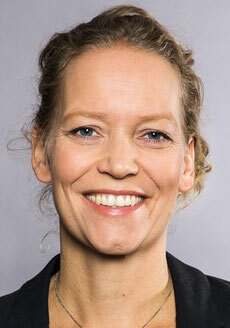 She stated that “the mid-year figures reflect our expectations for a decrease in overall freighter ATMs as we continue to face capacity constraints.“ The AMS freight forwarding community is most probably not very happy with that statement and the fact that there is no real movement in finding a long-term solution. 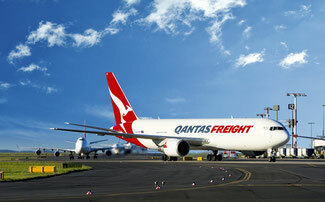 Qantas Cargo has opened a new and the only direct air cargo connection between Australia’s Northern Territory and Hong Kong by starting a weekly B767-300 freighter flight from Darwin to Hong Kong. The aircraft which has a capacity of up to 50 tonnes will be mainly used to carry perishables into HKG for distribution in the area. Australian exporters situated in the north, have in the past had to truck their cargo to airports on the east coast for transport into South-East Asia. The new service which will carry chilled meat, fruit & vegetables, seafood, dairy products and general cargo, will depart Darwin on Sunday evenings and after a six hour flight be in Hong Kong by midday Monday’s. The Canadian civil aviation authorities have recently approved an almost 70% increase in capacity between Canada and the United Arab Emirates (UAE). 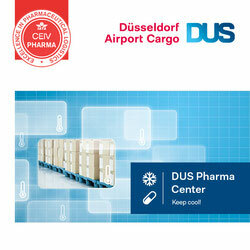 This also includes the introduction of four weekly all freighter services between both countries. The government in Ottawa has also extended their Air Transport Agreement (ATA) with Egypt which allows designated airlines of both countries to increase the present four weekly flights up to seven. The demand for cargo capacity between Canada and the UAE and Egypt has grown year by year. It is estimated that the two-way trade to Egypt was valued at CAN$1.3 billion in 2017 and CAN$1.8 billion to the UAE. It is hoped that especially the UAE carriers, Emirates and Etihad will increase frequencies with added freighter services to and from Canada. Nairobi-based Astral Aviation which operates with an aging B727F and a DC9F on regional routes as well as having leased in a B747F from Air Atlanta Icelandic, has been in the news lately with their plans to be the pioneers of Kenya’s first unman-ned aerial vehicle (UAV) cargo flights in Kenya. At first plans were put on ice due to Kenyan regulatory problems which forbade the use of unmanned aerial vehicles. This however seems to have changed according to the Kenyan newspaper Business Daily. They report that the Kenya Civil Aviation Authority (KCAA) are discussing closely with the Kenyan justices on finding a quick solution. Astral are now reported to have signed a Letter of Intent (LOI) for the purchase of two Lucas F-250 UAVs to start up cargo flights to remote areas within Kenya carrying urgent medical supplies and other cargo. They hope to start operations by 2019, and if successful, then plan to increase their UAV fleet. 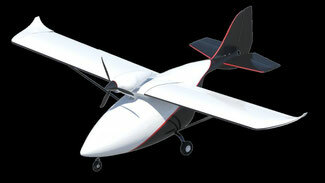 Each UAV is designed to carry up to 250 kilos and has a range of more than 1,500 kilometers. If things work out the way Astral Aviation plans, then they can have the honour of being the first airline to use drones for carrying cargo. French-based Bolloré Logistics‘ UK branch has been awarded a five year contract by Virgin Atlantic Airways to handle all international shipments for the carrier to and from the UK. This is a new contract with Virgin for Bolloré in the UK. The company works closely with the British airline in other areas. Bolloré Logistics, has a strong network across the globe offering supply chain management solutions for the cargo industry and counts more than 600 offices spread throughout 106 countries. Kuala Lumpur-based Air Cargo Express (ACE) has wet leased a B737-300 freigh-ter from Indonesia’s Tri-M.G. Intra Asia Airlines for a six-month contract. Chinese all cargo carrier Uni-Top Airlines which has its main base in Wuhan, has started chartering in B747-400F capacity from Moldovan carrier Aerotrans Cargo. The aircraft will be used by Uni-Top for services recently started (CFG 20 July) between China and the Belgian city of Liege.